Latest newsletter: That’s a wrap! Click here to subscribe to these newsletters. This time a fortnight ago, the closing concert of New Paths 2017 was drawing to an end, the music of Mozart, Britten, Finzi and Schumann echoing around St Mary’s. That concert was the culmination of a truly extraordinary few days of music-making, which almost takes on the quality of a dream now that we look back on it – it was such an incredible gathering of people and feast of music that it’s hard to believe it was real! It’s impossible to pick out highlights: the opening night in the Minster, the stunning organ recitals in Beverley and Bridlington, the premiere of Alasdair Nicolson’s Ebb Variations, Contraband’s late-night Bach cantatas or Coffee Cantata at the theatre, and their Saturday night extravaganza, the Elwell concert with projected images, Under the Starry Skies, the festival jazz drinks, the packed-out baby concerts or infectious Reluctant Dragon, the Come & Sing, Italian Hour or Home & Away, A Retrospective, the musical tour of the Minster, Festival Worship at St Mary’s, or perhaps just all the many food events…. So many people helped make the festival happen, often behind the scenes and from afar; there are too many to thank individually here, but we would like to acknowledge the enormous team effort that goes into making the festival happen. Huge thanks to all who helped make it a success, in ways large or small. 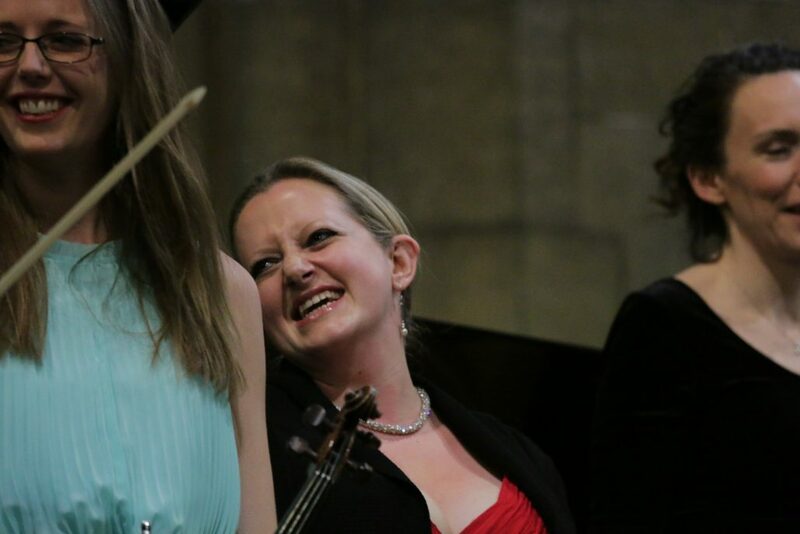 Particular thanks of course go to our thirty performers who gave of their talents and energies so tirelessly; the music-making was exceptional in its variety, commitment and brilliance, and we are honoured to have hosted such an array of talented musicians in Beverley. Finally, thank you to you, our audience and supporters. The festival would be nothing without the warm reception from the people of Beverley and from those who made the trip especially to visit. The dates for New Paths 2018 are 5th – 8th April; further details will follow in due course but for now please put the dates in your diary! We hope we will see you again then. Meanwhile you’ll have to content yourself with memories of this year’s festival: there are photos and comments here and there will in due course be a more comprehensive photo gallery available on the website too. We wish you all the very best for May and beyond, and thank you once again for helping us make New Paths 2017 such a roaring success.